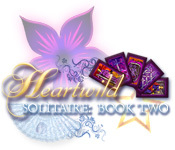 Heartwild Solitaire - Book Two is rated 4.3 out of 5 by 10. Rated 5 out of 5 by melissa845 from As good as the first Heartwild but Different This is the card game where instead of matching two cards one goes in sequence up or down like playing Klondike solitaire. One just has to make sure that they do not leave more than maybe 4 cards. Points are deducted for cards left over at the end of the hand. There are Plenty of wildcards to help finish the game. I really enjoyed it... did not read the story. Played it for the game. Good game for intermediate and above. Rated 5 out of 5 by hobo11 from So pleasant to play ! 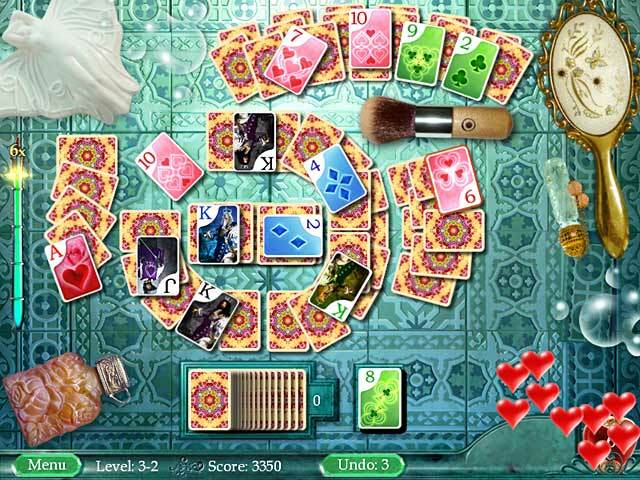 Wanted a change from my doom and gloom Hidden Objects games and zeroed in on this lovely solitaire game. Really relaxing and beautiful. 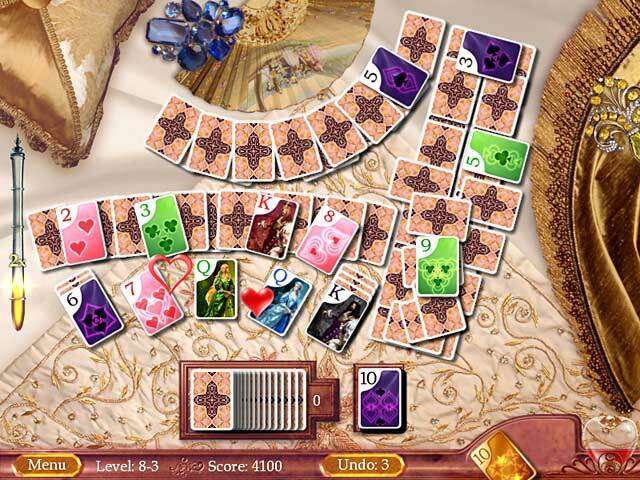 Rated 5 out of 5 by Desert007 from Relaxing, enjoyable game Very relaxing enjoyable solitaire game. Music is so relaxing, it's almost meditative, which at the end of the day is very good for me. Some challenging memory games included. I didn't read the book that goes along with it, but might next time through... Perfect game for relaxing. Rated 5 out of 5 by GypsyBeLoved from What a beautiful game I have to admit that I was unsure when I started this game with cards being sideways but once I adjusted it became a really fun game. The story plot is pretty good and it doens't get in the way of the game. The graphics are so beautiful, the music is gental background noise that's not annoying. It does have some challange here and there but overall it makes for a relaxing fun game. Rated 4 out of 5 by cceepp from Such a Beautiful Game! I enjoy this game because it is so beautiful. I like it even more than the first in the series. The story is funny, though probably not intended to be. The story is kind of hard to follow, but that doesn't matter because the game is so enjoyable. The confusing story reminds me of how love often is, so I think it is apt. If you want to escape for awhile in a visually beautiful experience, this is the game. It is not that hard, which adds to the relaxation factor. I like the nostalgic theme. Rated 4 out of 5 by Gameritis50 from Visually beautiful rendition of solitaire It is a beautiful twist of golf solitaire, that is if you want something different to look at. You cannot upgrade anything, but pleasant to play. Rated 4 out of 5 by ukhelen from An excellent solitaire game If you already have the earlier version of this game and don't care about the story, you don't really need this. I love the game because the graphics are excellent and the game challenges me. I find the storyline of tarot and romantic novels absolutely absurd and I'd be embarrassed if anyone thought I bought the game for that. 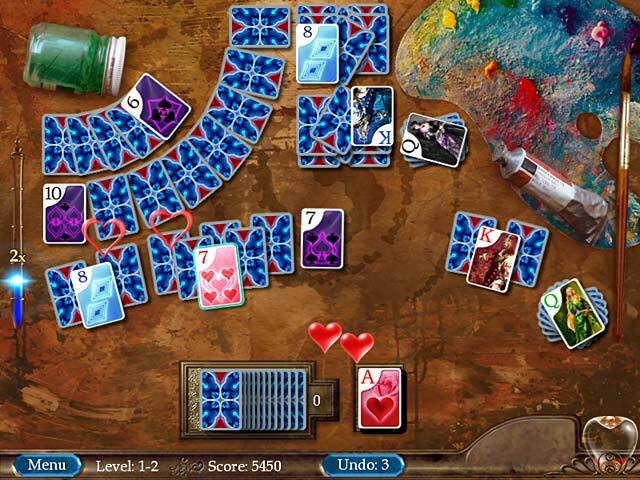 THere is only one solitaire game but this version gives you the option of setting up your own screens which is quite interesting and challenging. Rated 3 out of 5 by Ygraine from Heartwild Solitaire Book Two I loved the first Heartwild game. The solitaire part was fun, but the additional game of "thirteens" was even better. I was excited to buy the 2nd game, but was very disappointed with it, as there are no additional games, as in the 1st one, and the "bonus" levels are way too complex, impossible to complete in the time allowed. Apart from the story line, it's just solitaire. It was just okay overall. Rated 3 out of 5 by 37cookies from 1 hour demo, will not buy In my one hour demo, all I saw was golf solitaire, one of my least favorite solitaire games. Visuals and music were pretty and gentle, and not at all annoying (I usually turn off music but not in the Heartwild games). However, I will not buy this particular game because all I saw was golf solitaire. The first Heartwild game, in my demo, all I had was matching pairs, which was fun for an hour but doesn't compel me to buy it either. Never hurts to try the demo to see if you'll like the game :) Since I was just seeing about the solitaire games, I did NOT pay any attention to the storyline, so no clue about it. Dive into Heartwild Solitaire: Book Two! Make card matches, collect points for sequential matching, and gather level-changing power-ups!